In recent years, an increasing number of specialized gender clinics have been prescribing gonadotropin-releasing hormone (GnRH) analogs to adolescents diagnosed with gender dysphoria (GD) to suppress puberty. This paper presents qualitative research on the hormone therapy (HT) experiences of older trans-people and their views on puberty suppression. The main aim of this research was to explore the psychological aspects of hormonal treatments for gender non-conforming adults, including the controversial use of puberty suppression treatments. 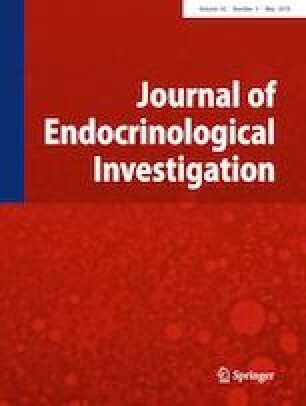 Using a semi-structured interview format, ten adult trans-women were interviewed (mean age: 37.4) to explore their personal histories regarding GD onset and development, their HT experiences, and their views on the use of GnRH analogs to suppress puberty in trans-children and adolescents. Results: the interview transcripts were analyzed using the consensual qualitative research method from which several themes emerged: the onset of GD, childhood experiences, experiences with puberty and HT, views on the puberty suspension procedure, and the effects of this suspension on gender identity and sexuality. The interviews showed that overall, the participants valued the new treatment protocol due to the opportunity to prevent the severe body dysphoria and social phobia trans-people experience with puberty. It seems that the risk of social isolation and psychological suffering is increased by the general lack of acceptance and stigma toward trans-identities in the Italian society. However, during gender transitions, they highlight the need to focus more on internal and psychological aspects, rather than over-emphasize physical appearance. This study gives a voice to an under-represented group regarding the use of GnRH analogs to suppress puberty in trans-individuals, and collected firsthand insights on this controversial treatment and its recommendations in professional international guidelines. The online version of this article ( https://doi.org/10.1007/s40618-019-01045-2) contains supplementary material, which is available to authorized users. The authors wish to thank the staff at the Service for the Adaptation of Physical Identity to Psychological Identity Clinical Center (SAIFIP) in Rome for their availability for this study and for their enduring work on the health and well-being of trans-people. The study was approved by the Institutional Ethics Committee and all procedures involving human participants were in accordance with the 1964 Helsinki declaration and its later amendments or comparable ethical standards. Informed consent was obtained from patients.